Originally published September 26, 2018, on Alberta Farmer Express. Running a farm. Volunteering. Managing one business. Starting another. Raising a young child while pregnant with her second. 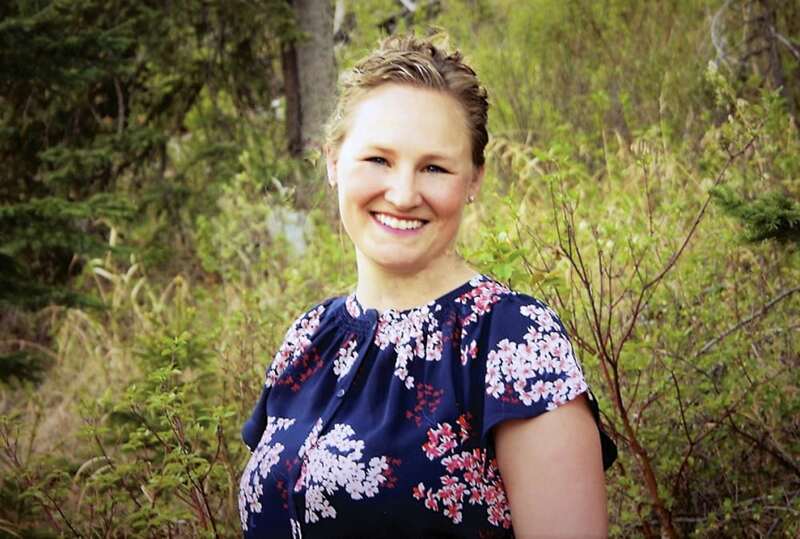 Kristen Ritson-Bennett had a lot on her plate as she worked her way through the Success for Women in Agri-Food program over the past two years. “I don’t necessarily believe in work-life balance. I just don’t see how it’s achievable,” said the Innisfail business owner with a laugh. That wasn’t exactly what the Success for Women in Agri-Food program set out to do when it launched in 2016 as a pilot project to address some of the unique challenges facing female agri-food entrepreneurs. The program, which wrapped up last October, offered 18 women from across Alberta a chance to develop their leadership and business skills through both online and in-person training, networking events, and mentorship opportunities. But what it really gave them was confidence. “A lot of women go into business because they have a great idea, but they don’t always have the technical skills to make that business work better when they’re working in the business,” said Heather Broughton, who led the project for the Agriculture and Food Council. That’s what initially drew Ritson-Bennett to the program. Despite having gone through the process of starting her own business once before, she suspected there was a better way to go about it when she and husband Andrew, a veterinarian, decided to open a veterinary practice, too. “A lot of it is trial and error when you first start a business,” said Ritson-Bennett, who opened Blue Rock Animal Nutrition in 2013 and Antler Hill Veterinary Services in July. “I remember being extremely overwhelmed when we started the first company, but I was able to take a lot of the skills that I learned in the program and apply them to this second business with a little bit more confidence,” she said. “I’ve developed a lot of skills through this program that allow me to make decisions more quickly and follow my gut. Though their individual businesses were different, it was the same story for the rest of the women who participated in the program, said Broughton. “They felt they didn’t have all the business skills they needed to be confident in managing the business,” she said. But by the end of the program, that had changed. The participants were asked to evaluate the program and all said it boosted their confidence by increasing their “knowledge base, skill development, and better resource and information management,” according to the program’s final report. Just over half said it had a significant impact on their businesses. “The outcomes and impacts on the businesses and on the women entrepreneurs themselves were great,” said Broughton. But even bigger was the networking, with more than 70 per cent saying that broadening their network of peers and business professionals had a significant impact on their businesses. “Living in rural Alberta, you can begin to feel a little isolated. You don’t always have the opportunity to meet someone doing similar things,” said Broughton. “They really loved the opportunity to get together with other women. When we had our first face to face, everybody stayed for a good hour after to have informal conversations about the topics that we discussed. “It was nice to meet other women who are doing what I’m doing and can identify with the struggles that I’m going through,” she said. “We’re all managing households as well as farms and businesses, so we can all identify with some of the things that come along with being a woman. In the past, rural women have largely been left to ‘figure it out’ without programs or resources designed specifically for women. But over the past five years, that’s begun to shift within the agriculture industry. “Historically, the focus hasn’t been on women,” said Iris Meck, who launched the Advancing Women in Agriculture Conference in 2014. That was Meck’s goal when she created and hosted the first Advancing Women conference in Calgary four years ago and expanded it to Ontario one year later. At the time, Meck didn’t know of any leadership conferences geared specifically for women in agriculture. “With women having such a small percentile in upper management and ownership positions, I felt it was time that we gave women more tools to work with so that they could hone their leadership skills and have developmental opportunities,” said Meck. Since then, there has been significant growth not only in the number of conferences and networking opportunities for women in the industry, but also in the types of resources female agri-food entrepreneurs have access to. In the 2018 budget, the federal government committed $1.65 billion in financing for female business owners in Canada and an additional $105 million to make it easier for women to start their own businesses. As part of that, Farm Credit Canada (FCC) has been tasked with developing a new loan program for women entrepreneurs (expected to launch next year), on top of bolstering its advisory services, programs, and other supports for women entrepreneurs in the industry. “Women want to grow themselves and their businesses,” said Candace Hill, manager of special projects for FCC. This type of support — both from the government and from organizations — is a sign that the industry is finally recognizing the “great role” women are playing on the farm, in their own businesses, and in agri-food corporations, said Meck.